Anjan Upadhya is the Chief Technology Officer, CIO and a Managing Partner at SproutLoud. As the chief architect of the SproutLoud SaaS marketing platform, he oversees all technology and product development for the company. 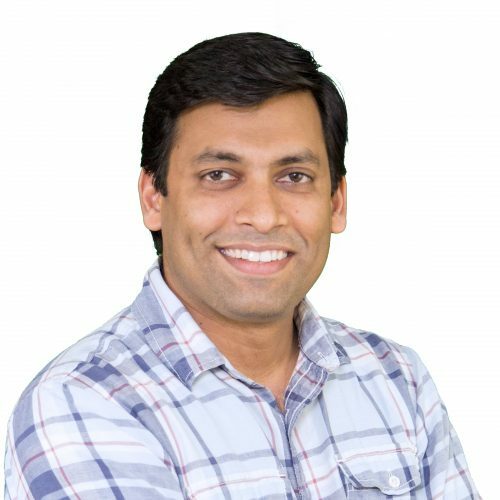 Anjan, who was named 2018 CIO of the Year by the South Florida Business Journal, has been a part of SproutLoud since its inception. He has over 18 years of experience building technology teams and platforms in fast-paced, startup environments for a broad range of industries including education, veterinary and medical sciences, and marketing technology. Before joining SproutLoud, Anjan held similar positions in a number of startup companies. He was the Lead Architect for StudyNet, a leading platform for online education. For his work at Turkel Schwartz and Partners, Anjan won two silver Addy Awards in the advertising field. He also won an additional Addy for his collaborative work with Cave Design, a leading graphics communication company. Anjan’s background has given him exposure to biological sciences, arts, advertising, programming and internet technologies. This breadth of experience allows him to problem solve with a broad and unique range of perspectives. He loves taking ideas from inception to working business software solutions. Anjan is also a published photographer. He has a deep passion for open-source software and loves the innovative thinking and inspiration that comes from it. Anjan holds a degree in Web & Interactive Media from The Art Institutes and a degree in Botany from Delhi University, India.